Considered as one of the most successful products of the established Philippine mixed martial art scene, Filipino veteran Eric Kelly celebrated his 36th birthday last April 30. However, “The Natural” Kelly was not able to savor every bit of his special day as he is focused on his next assignment inside the ONE Championship cage. The celebrated Baguio City-based mixed martial artist is set to duke it out with Japanese journeyman Tetsuya Yamada in a three-round catchweight contest on the undercard of ONE: GRIT AND GLORY, which takes place at the Jakarta Convention Center in Indonesia on May 12. Although his cage meeting with Yamada is 12 days after his birthday, Kelly can’t think of a better present for himself than to return home with the victory over the seasoned Japanese combatant. Kelly was once considered as one of the best and brightest featherweight contenders in the Asian region when he started his professional mixed martial arts run in 2009, but his billing lost its luster due to a string of setbacks. To compound the misery, he suffered his third-straight defeat at the hands of ex-ONE Lightweight World Champion Kotetsu “No Face” Boku in a featherweight encounter via third-round technical knockout in August 2017. 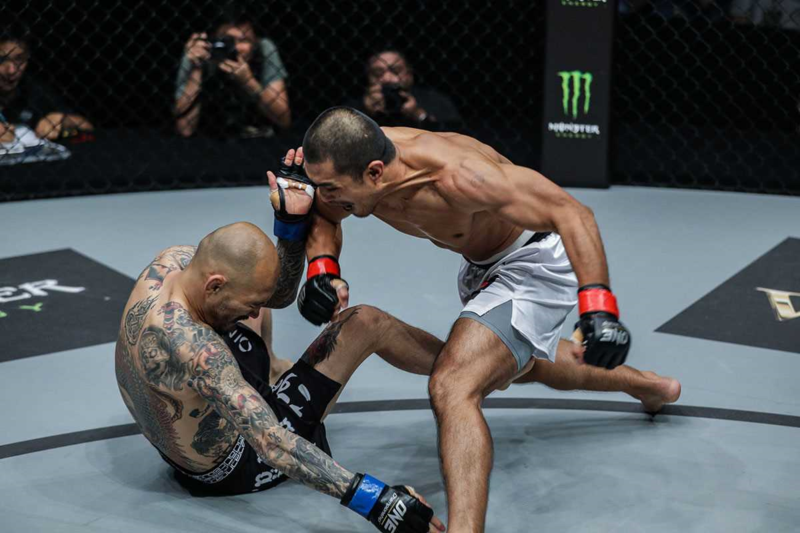 A victory inside the ONE Championship cage remained elusive to Kelly as he bowed down to returning Brazilian standout Rafael “Indio” Nunes by second-round submission this past January. “I am taking it as a lesson. I have accepted the fact that I am in a bad spot, but I am taking all those experiences as lessons and inspecting them for my future matches,” Kelly stated. Despite the series of losses, his confidence remains unfazed as he brings a indomitable and positive attitude into his upcoming bout against Yamada at ONE: GRIT AND GLORY. The man standing in Kelly’s path to re-enter the winner’s circle is Yamada, a promising young martial artist with a distinct ability to seek out highlight-reel stoppages. The 27-year-old native of Kanagawa, Japan made his ONE Championship debut in January 2016 in an extremely high-level wrestling showdown against future lightweight kingpin Eduard Folayang of the Philippines. A seasoned grappler, over half of Yamada’s 24 career victories have come by spectacular finish, with the ability to end bouts either by submission or knockout. Like Kelly, Yamada also seeks to get back on the winning track, following his third-round submission loss to Saygid Guseyn Arslanaliev last March. The last time that Kelly had his hand raised in triumph was when he outpointed Japan’s Hiroshige Tanaka by unanimous decision in October 2015. Although a tough task is in front of him at ONE: GRIT AND GLORY, Kelly is more fired up than ever to arrest his losing spell and claim his first cage victory in nearly three years. “It’s a good match-up for me. My opponent is no pushover because Yamada has a good ground game and a decent stand-up. I really want to get this win more than ever. No one can deny my eagerness to win,” he concluded. Next ONE Championship content FREE on Mobile App!